Timing is everything and RIM will be cursing its servers for failing just as the iPhone 5 goes on sale. It looks as though BBM and RIM's Enterprise servers across Europe have failed this morning. 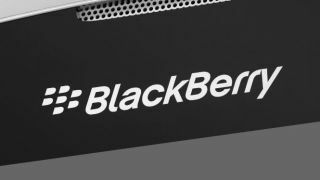 The company tweeted to confirm, "Some users in Europe, Middle East and Africa are experiencing issues with their BlackBerry service." No reason for the outage has been given just yet, but a statement posted in the comments on BlackBerry-loving weblog CrackBerry claims that "services should be restored within 2 to 2.5 hours at the most" as emergency works are carried out. It certainly sounds as though the outage is relatively minor compared to this time last year when 'Berrys the world over were left useless for days on end. But the timing must hurt, and won't help RIM cling on to any customers dithering about whether to jump ship to the iPhone 5 (although it has problems of its own, of course).